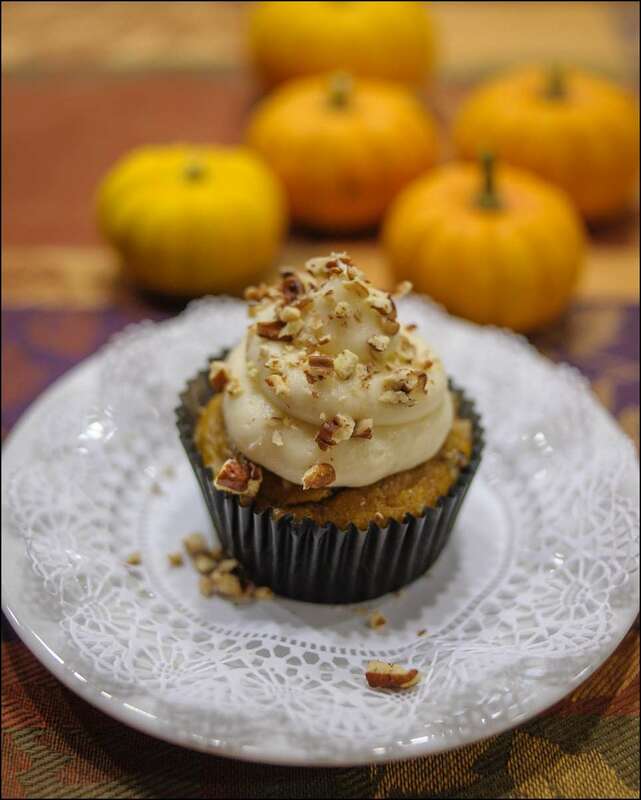 This cupcake is a must for Fall when those happy, hearty pumpkins start showing up at every grocery store and farm stand…Nothing beats the smell of fragrant pumpkin spice cake in the oven on a crisp Fall day. 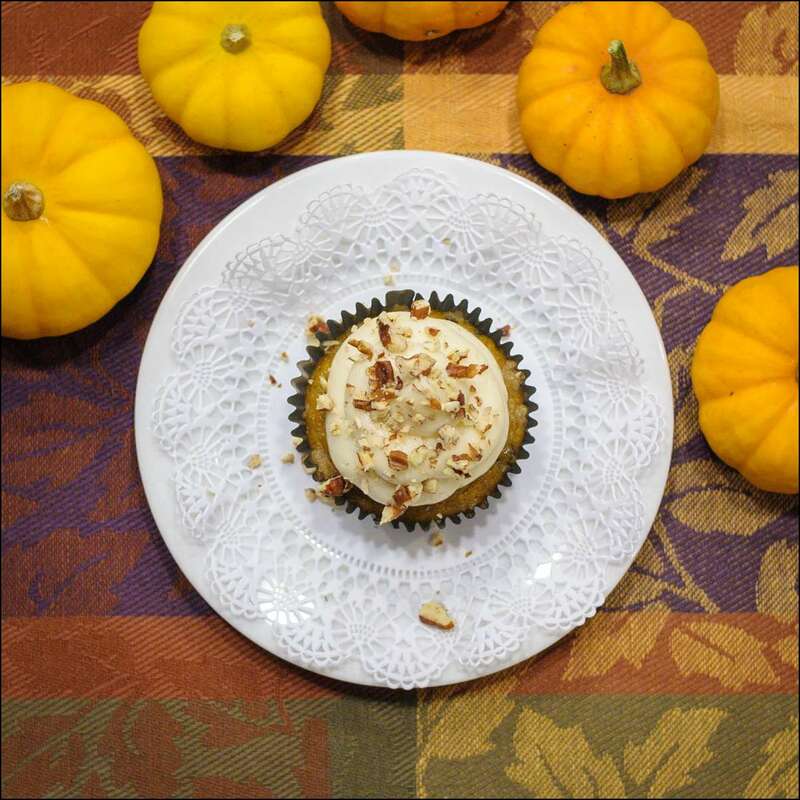 This one is filled with a creamy vanilla mousse and topped with luscious cinnamon-clove cream cheese icing and topped with a sprinkling of toasted pecans (why not?!). 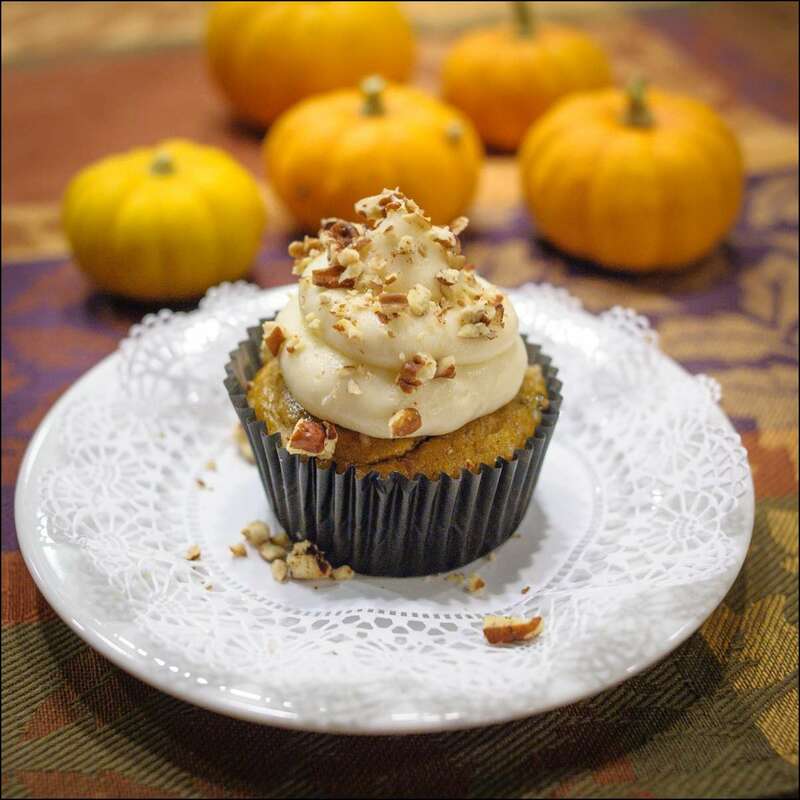 Pumpkin pie in a cupcake….only better (in my opinion).